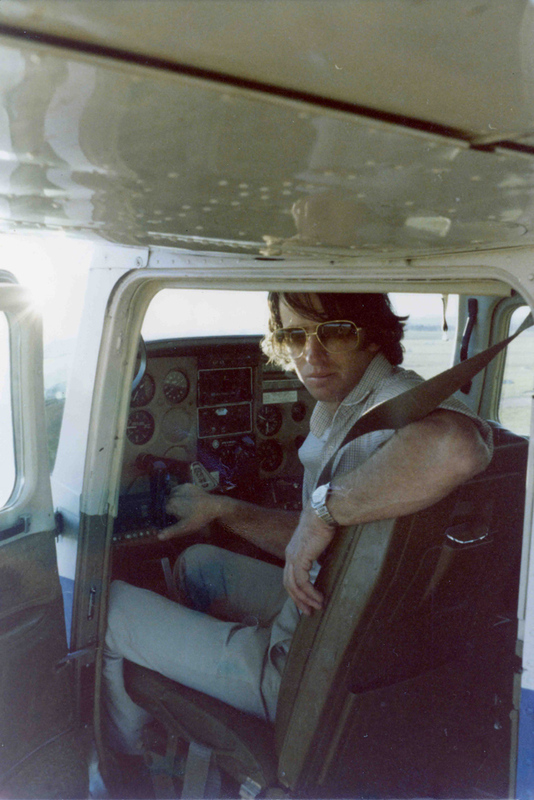 Peter Norvill has been an aviator for most of his life. 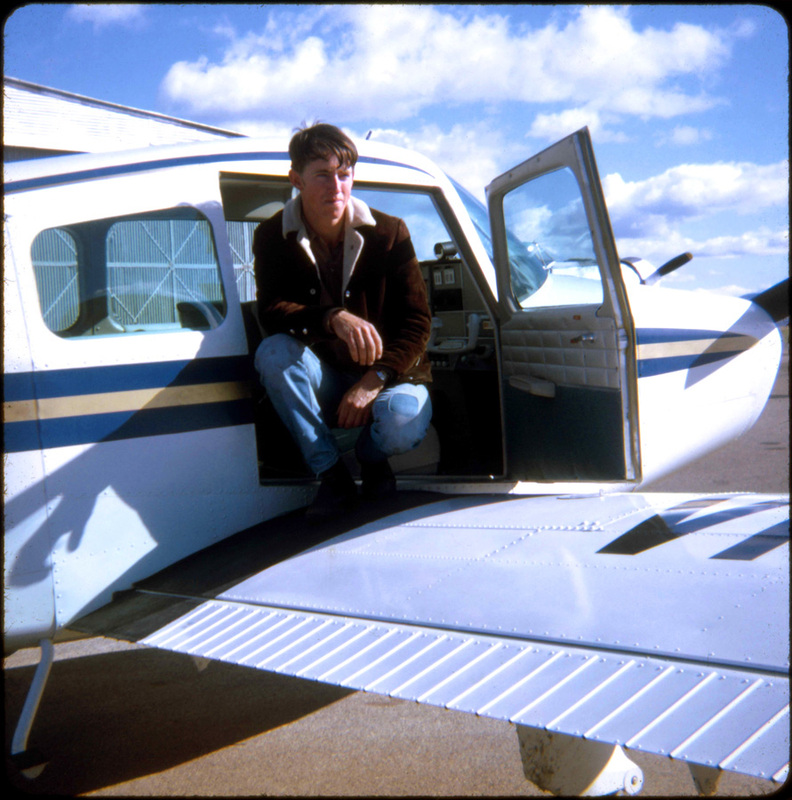 His very first flying experience at the controls was at the age of 17 when he was given the opportunity to have a trial instructional flight at Bankstown Aerodrome in Sydney. 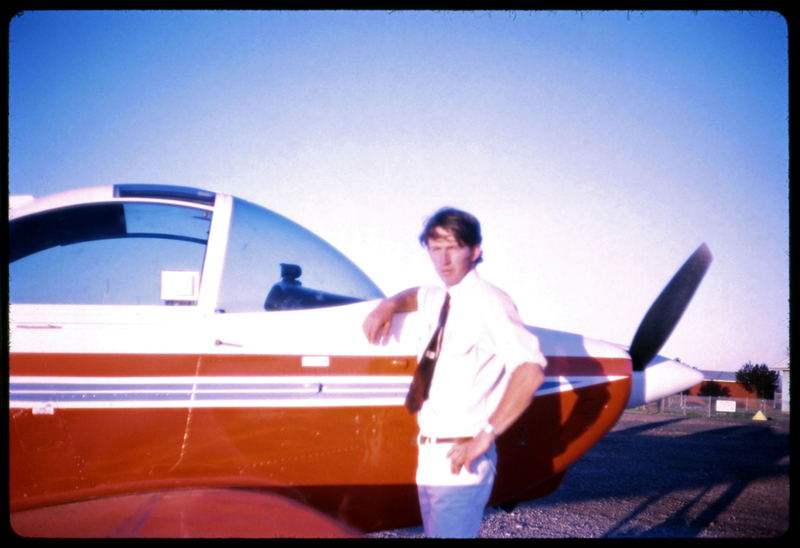 He was certain that he could never learn to fly - however, a short time later he decided that he was going to give it a go and started taking lessons from the late John Henry* at Tamworth Aero Club. He had to keep these lessons a secret from his parents, which he managed to do until he was near to having his private licence. John Henry, Gunnedah Aerodrome, Tamworth Aero Club Victa 115's VH-TWE & TWG. At this stage John was Chief Flying Instructor for the Tamworth Aero Club. John was killed in a head-on car crash just out of Tamworth on the Werris Creek Road on the night of Anzac Day, 1978. 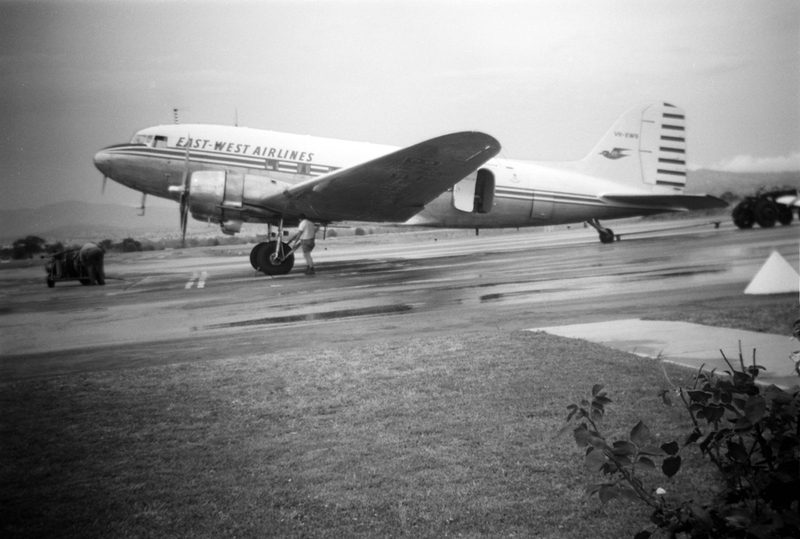 After cessation of his record flights he held the greatest number of official aviation records of any Australian at that time. 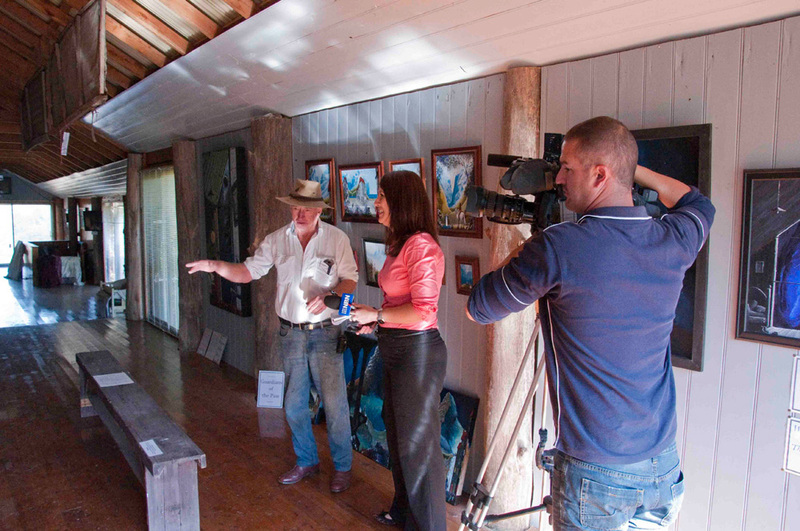 Peter attained his commercial licence before taking over the running of Rock Dhu in 1977. 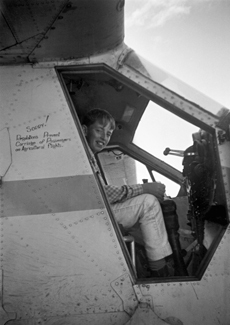 Becoming a full-time farmer and grazier did not interfere too much with his flying career. 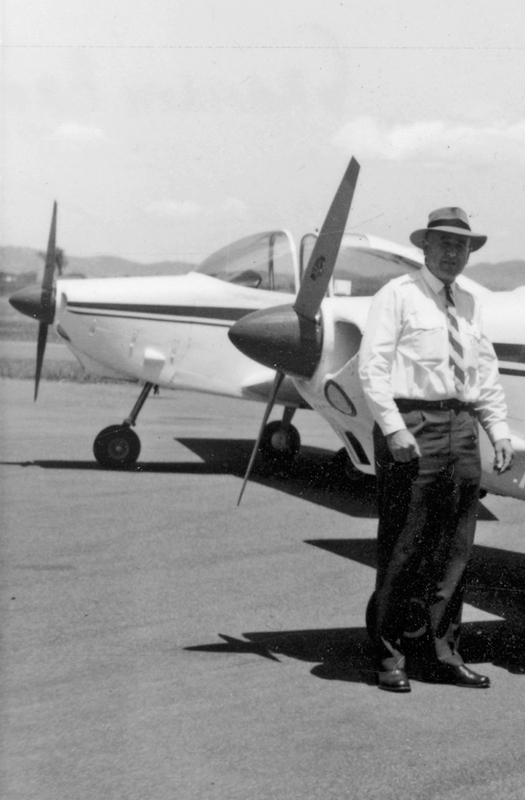 He trained with Ian Martin at Tamworth Aero Club until he became a flying instructor and spent a couple of years training pilots in the Hunter Valley and the North West of New South Wales. 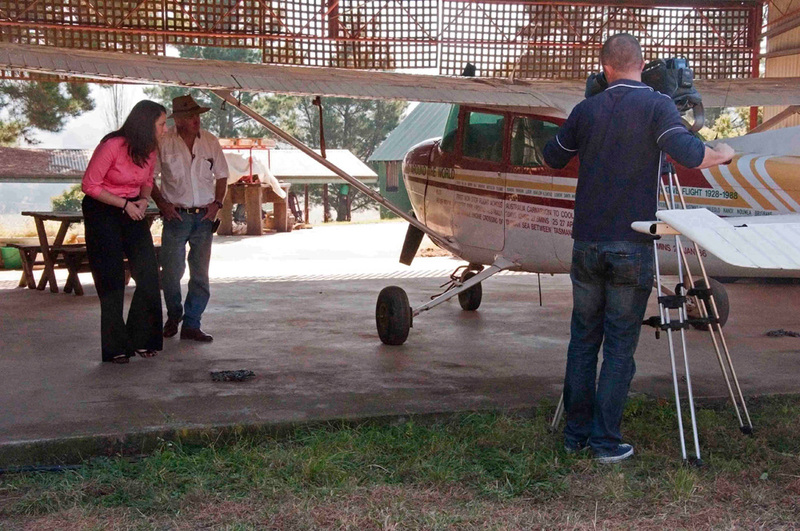 Col Pay offered Peter the chance to do an agricultural pilot rating. Peter then earned part of his living crop-dusting as well, throughout many areas of New South Wales. 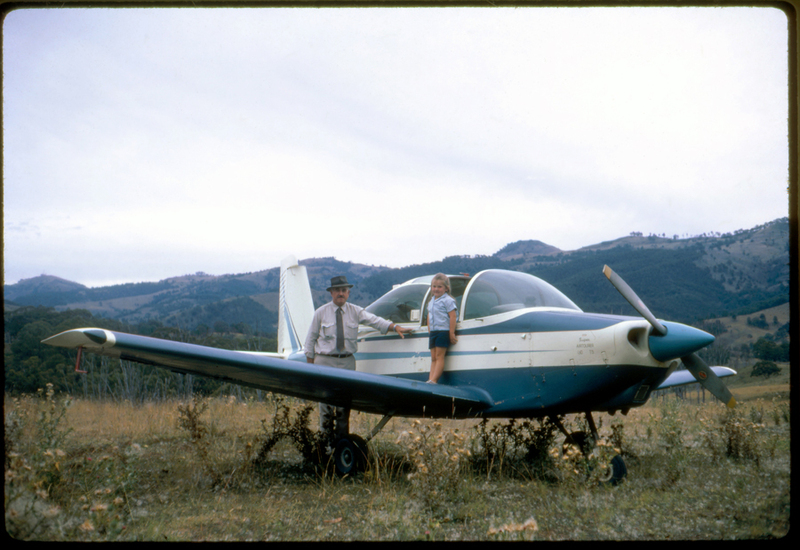 He flew a FU24-954 (400HP) Fletcher aircraft (New Zealand manufactured), spreading fertiliser. 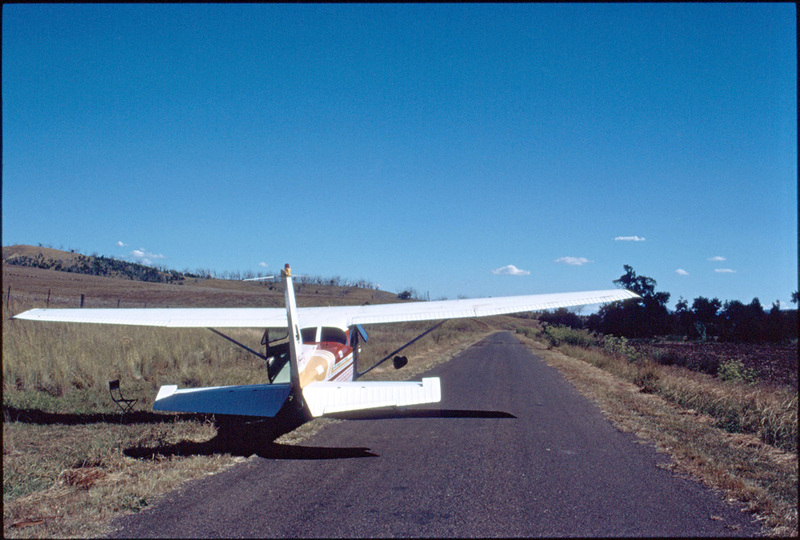 Crop-dusting involves dare-devil flying, close to the ground, and is certainly not for the faint-hearted, and Peter enjoyed this type of flying above all others. He realised that he hadn't even known how to fly until he began crop-dusting. 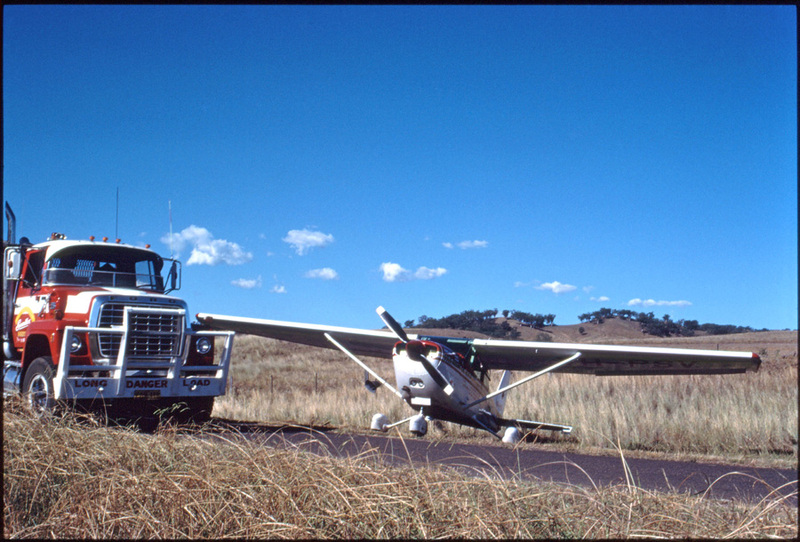 There is a real camaraderie among crop-dusting pilots, and a special brand of humour associated with it. Another thing Peter enjoyed about crop-dusting was the close relationship he developed with his clients, as he was a farmer and grazier himself. 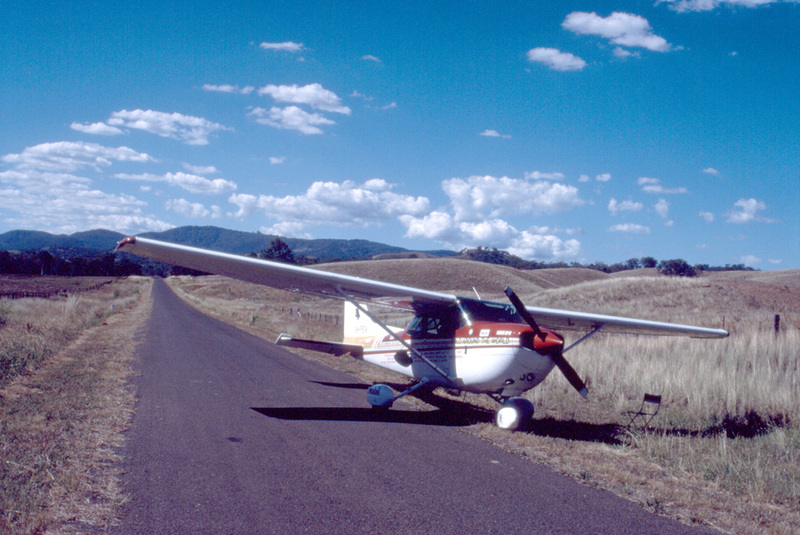 Peter's Cessna, the plane he flew around the world, still rests in the hangar behind the homestead, chained down to the cement slab – Peter says this is to prevent the plane from taking off in the strong winds that blow at Rock Dhu, but maybe it's so he can't be tempted to take it out for just one more flight. Peter's book Solo Around The World is available for purchase. Click on the "Publications" link to the left. 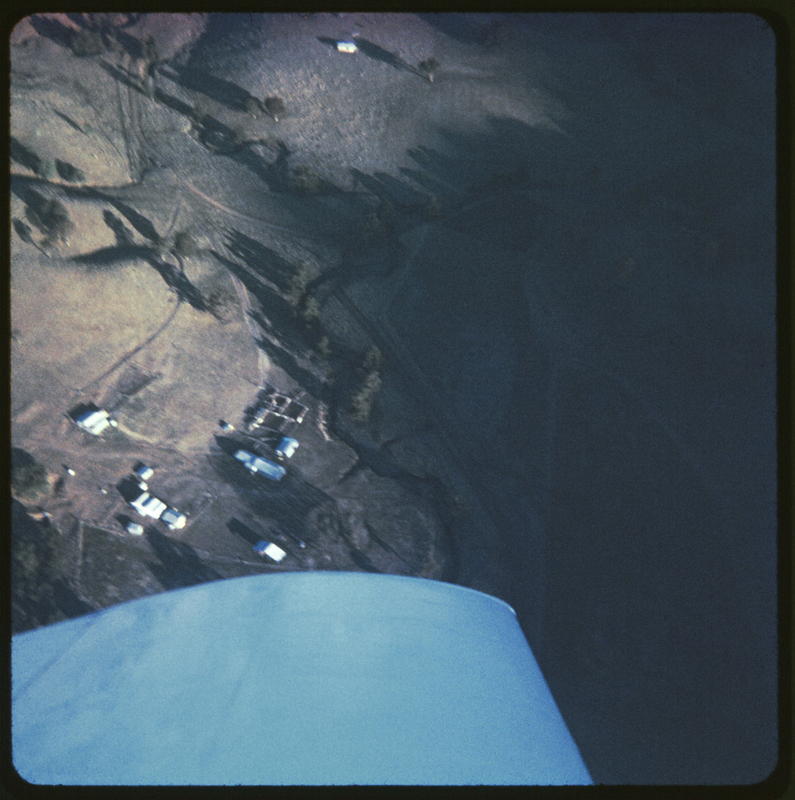 over three days, Easter 1964.
have grounded ag aircraft because of it, was utter rubbish. flown since the mid 1990’s. 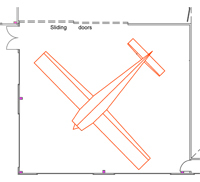 to Tamworth Aero Club for training.